Heritage Victoria has officially refused Apple’s application to demolish the square's Yarra Building to make way for the store. The Victorian Government says the store can no longer go ahead. “Apple and the Victorian Government have acknowledged that based on Heritage Victoria's decision, the proposed Apple global flagship store cannot proceed,” it said. 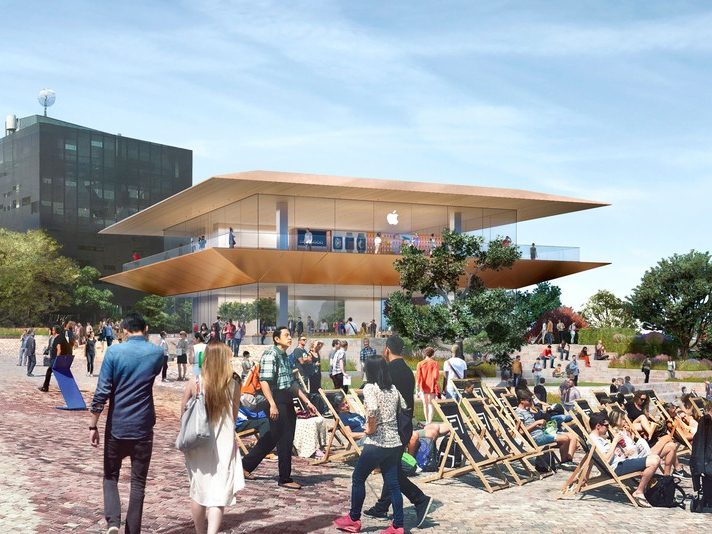 Apple issued a statement saying: “While we are disappointed we're no longer able to pursue our plan for Federation Square, we remain committed to serving our customers in Melbourne and across Australia”. Heritage Victoria said it refused the application because of its “unacceptable and irreversible detrimental impact on the cultural heritage significance of Federation Square”. Many locals were incensed by the Andrews Government’s initial approval for the building, planned for a site that is considered a cultural precinct rather than a commercial area. There were commercial considerations at play, with revenue for the square struggling in recent years. Jobs Minister Martin Pakula said a new review has been launched to consider the square's future. “The review will examine how Federation Square looks, how it's funded and how it operates so that it continues to stand out as an iconic Melbourne attraction that is enjoyed by not only Melburnians but people from all over the world,” he said. “Since its opening in 2002, Federation Square has hosted creative events and world-leading attractions.